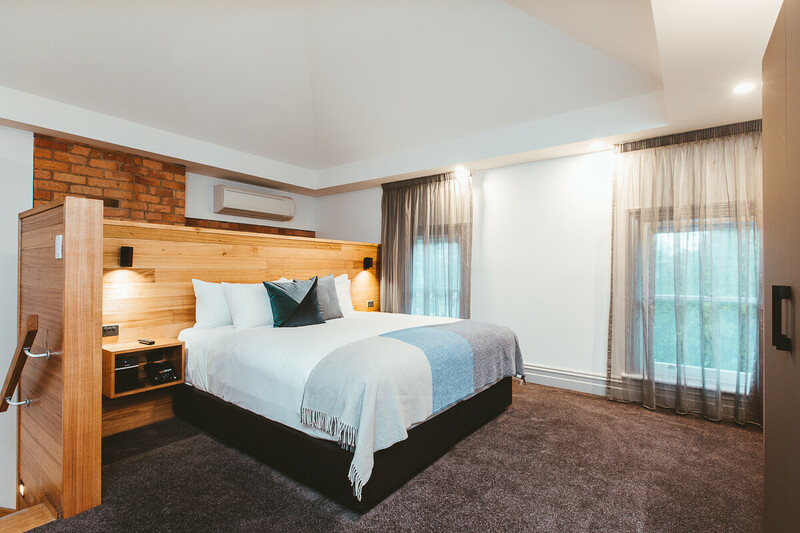 Located on the upper floor of the lodge this studio has an open plan lounge area with magnificent views of kunanyi/Mount Wellington. Guests have a choice of king-size bed or twin beds in both the master bedroom and the second open style loft bedroom. Ideal for four guests. 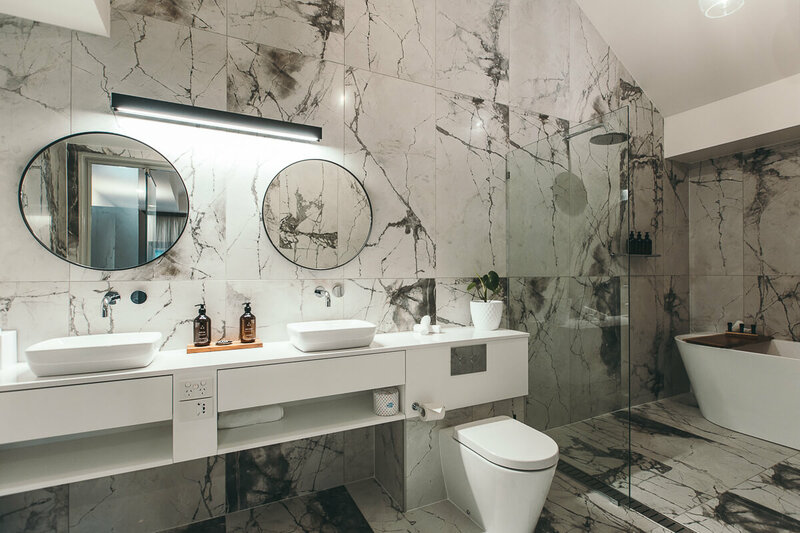 Luxury bathroom with spacious walk-in shower and free standing bath, complete with eco-friendly bath amenities and bathrobes. 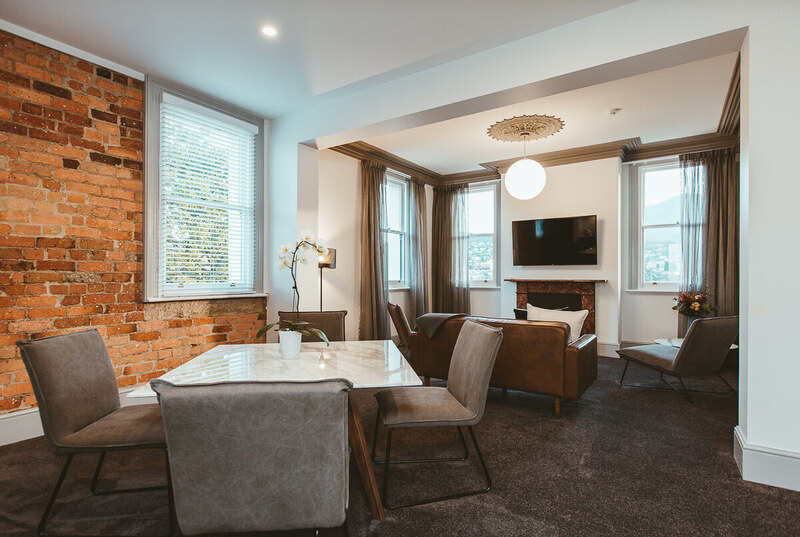 The lounge area includes air conditioning, gas fire, multiple flat screen TV’s with movie streaming, wifi, complimentary tea and coffee making facilities and a fully stocked mini-bar. There is also an additional toilet.